The surprise announcement by HHS Secretary Alex Azar that the CMS was interested in paying for housing and other social services caught the industry's attention, prompting a slew of opinions on how that would work. High on the list of suggestions among industry stakeholders is a warning for the CMS to keep in mind community organizations and other federal agencies as it considers any new payment models in which housing and other social services are paid for. Azar unveiled the possibility in a speech in which he remarked that the agency has a responsibility to address patients' social needs and that the Center for Medicare and Medicaid Innovation is working on a pilot model. Healthcare organizations overwhelmingly welcomed the news as most recognize that being able to address patients' social needs is going to be critical as they are paid more for outcomes and less for direct medical services. There currently isn't a direct reimbursement mechanism to support such investments, so health systems largely use their own pocketbooks, which is unsustainable long-term. “I think we have been very innovative in the way we have been addressing social determinants … but in order for it to be sustained and for us to expand our work in this space, a payment model is going to be critical,” said Dr. Alisahah Cole, chief community impact officer at Charlotte, N.C.-based Atrium Health. There is also now substantial literature to support that addressing patients' social determinants of health yields savings through lower utilization and readmission rates. That's likely why the CMS is ready to take on social needs as a reimbursable service, but health policy analysts caution that in order for such a venture to be successful, it needs to include—and support—all players that contribute to the social safety net. No one entity can tackle social services on its own, especially one like the CMS, which historically hasn't been involved in providing social services, they said. “To be effective, this can't just be another set of services. This really is about how to create an integrated system in a community,” said Jeffrey Levi, professor of health policy and management at George Washington University. In his speech, Azar didn't provide details regarding how the payment model might operate, but he did suggest providers would receive the payments. In a follow-up request, the CMS said it didn't have any additional information about the potential model. One major barrier to such a proposal is that the CMS doesn't currently have legal authority to pay directly for housing, so in order for the agency to go through with its plan, it will need to convince lawmakers to change the statute. For this reason, some analysts think HHS will opt to work with the U.S. Housing and Urban Development Department to provide housing on its behalf. “This (payment model) can make it easier for agencies to collaborate together to provide the full range of services a beneficiary may need,” Levi said. “There are a whole bunch of agencies within the government that are working on related things but they don't talk to each other,” she added. The CMS also covers a significant portion of the population under its Medicare and Medicaid programs, so it can make a substantial dent if it begins to take this issue on, said Len Nichols, professor of health policy at George Mason University. However, housing is an expensive service for the government to provide, which can be another challenge to HHS realizing its vision. It's unclear what HHS would be willing to pay for, making costs difficult to estimate. 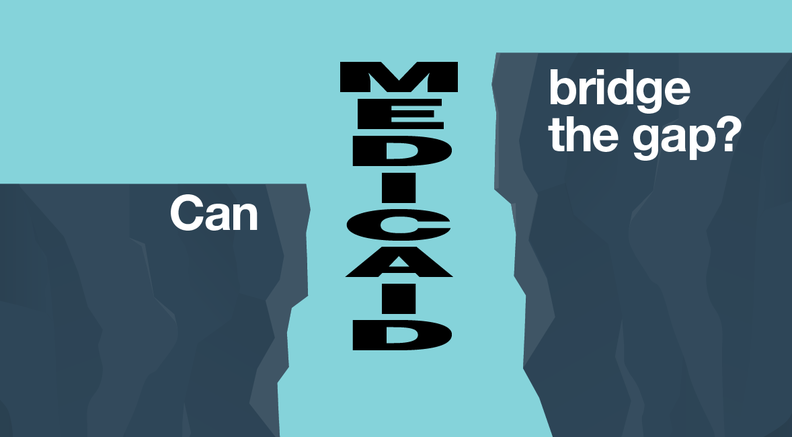 The agency has also historically paid less than commercial payers for medical services under Medicaid. A Philadelphia effort called Safe Haven puts homeless patients into short-term housing and treats them for behavioral health conditions. The program initially cost $112 per day per person, but fell to $18 a day once the patients were housed, according to a brief by the Kaiser Family Foundation. “It is getting harder for people to afford housing, so programs like this can be expensive,” said Kathy Leyden, director of Medicaid innovation at CDPHP, a health plan based in Albany, N.Y. Starting Dec. 1, CDPHP will offer subsidized or free housing to about 15 of its Medicaid members through a joint program with St. Catherine's Center for Children. The CMS Innovation Center is already testing interventions that address patient social needs, but federal agencies don't participate. The Accountable Health Communities Model involves providers screening high-utilizers for social risk factors like transportation and food insecurity. Those patients are then set up with navigators who help them find resources in the communities. She added, however, that hospitals “by no means can do this work alone.” Community partners like churches, homeless shelters and food banks that already provide so many social services need to be part of the payment structure as well. “We are not the experts in a lot of the areas that our patients are facing, but oftentimes as healthcare systems and hospitals we can serve as conveners to bring a lot of those support groups together,” she said. Baackes said he hopes health plans are part of CMS discussions and the pilot model. Nichols at George Mason University said he imagines that the CMS can offer hospitals payment and then the hospitals can funnel that money to not-for-profits they work with. It would also help these organizations stay afloat financially. Many struggle to remain open. “Those community-based organizations are the only ones who have the expertise to do this close to efficiently,” Nichols said. The CMS will likely see savings quickly if it targets the payments to traditionally high-risk populations like dual-eligibles or Medicare patients with multiple chronic conditions, Nichols said. “It's not a not-trivial fraction of our population,” he added. Social determinants of health are also relatively easy to track and measure, Cole said. Process measures exist, such as how often patients are screened for food insecurity as well as outcome measures, such as if emergency department utilization dropped after patients obtained stable housing. But Dr. Rhonda Medows, executive vice president of population health at Providence St. Joseph Health, cautioned that by some measures, positive results couldn't be expected to be achieved for many years. “We are talking about longer-term commitments that I hope they would be willing to study—I don't think a one- or two-year commitment would be sufficient,” she said. Flexibility for organizations to do what they need to do will be critical as well. Communities and individuals have unique social needs, so too many constraints can hinder achieving goals, Levi said. “The devil will be in the details of how flexible the CMS will be. Health systems and managed-care organizations need to have access to these services versus having a narrow definition of what Medicare and Medicaid will pay for,” he said.